Our towing professionals can assist your commercial or residential business with monitoring and enforcing policies regarding unauthorized parking issues. There are a myriad of common issues that can be dealt with, and these can often be difficult to monitor in the midst of other business needs that need to be taken care of. Our professionals will meet with you to discuss how you would like to enforce your parking policies, as well as communication surrounding the same. We can inform you before action takes place or after, however you prefer. Our professionals can also offer guidance in terms of enforcement practices based on our previous experience. The types of issues that are commonly dealt with in an unauthorized parking scenario are when individuals park in a space where specific tagging policies should be adhered to, and are not, in which case the vehicle is removed or ticketed; and also when individuals park in disabled parking spaces or fire lanes. Sometimes there are also improperly licensed or illegally parked vehicles in front of fire hydrants. Vehicle registrations that are out of date are also subject to enforcement policies. In addition, recreational vehicles such as campers, RV’s, boats, trailers or campers, or inoperable or abandoned vehicles are subject to enforcement. We also monitor parking space counts so that parking spaces are fairly distributed to residents, employees, etc., who are all a part of your parking lot community. 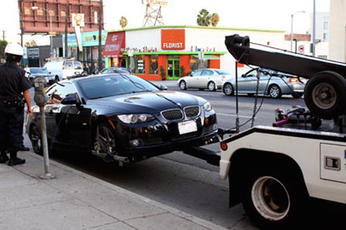 St. Louis Towing Services is a company who values integrity, responsiveness and reliability. Our duty is to provide honest services to our customers, as well as to enforce their policies reliably and quickly so that their parking lots are in order for their constituents. Our parking and towing professionals come with tenured experience and offer a variety of benefits and services in the process of enforcing your parking lot policies. 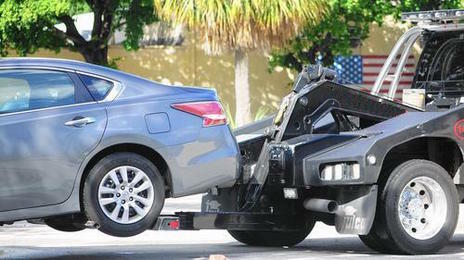 Such services include posting towing signs where appropriate that communicate your entity’s parking policies; taking digital photos of any vehicle in current violation of policies that will be subject to removal, tagging or ticketing; and providing a towing history report for your community at any time by request for your reference. Any vehicles subject to towing, tagging or ticketing will happen as a result of the enforcement policies put in place by your community, and it is our duty and responsibility to ensure those policies are adhered to with honesty and integrity. If you are in need of unauthorized parking monitoring or any other towing service, please give our St. Louis Long Distance Towing Services a call, as we are happy to serve the members in our community. You can call us at 314-888-5348 and a representative will be glad to listen to your needs and provide a working viable solution that meets exactly what you are looking for. You can also fill out the form at the top right hand of your screen with any details regarding your specific parking enforcement needs. Our representatives and towing professionals are available to serve you 24 hours a day 7 days a week for your convenience.